Katonya Breaux is making sure there’s SPF protection for every shade of brown. 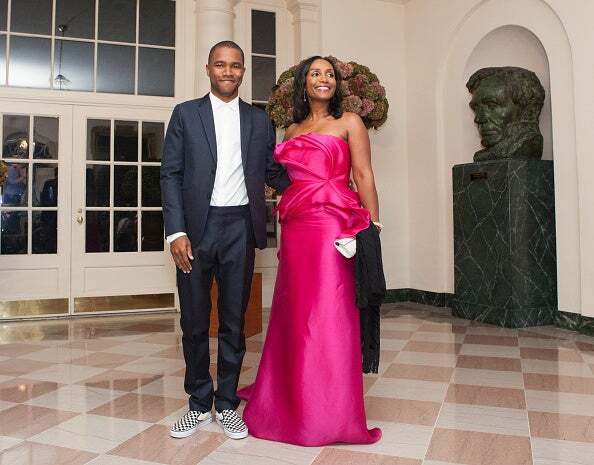 We love Frank Ocean as a singer/songwriter, but did you know his mom is a bonafide beauty entrepreneur? Katonya Breaux started Unsun Cosmetics after growing frustrated by the lack of true beauty incubators. Her biggest gripe? No mineral tinted sunscreen for darker skin tones. She got to work and cooked up her own solution that’s perfect for all skin types. If you take one look at Breaux, it’s clear that you should buy anything she’s selling. Her skin is flawless (Frank’s good looks finally make sense). Honestly, she doesn’t look a day over 25 and we’re so here for it. Below, she reveals how her skincare company is her number 1 secret to having gorgeous skin. ESSENCE: Having the funding to start a makeup company can be a challenge. How did you raise money? Katonya Breaux: The old adage, ‘it takes money to make money’ is truer than ever. Unsun is still an infant company and this is a pivotal time for financing to see the growth that we intend to see. The startup funding for Unsun came from personal savings and we’re finding it challenging to reach our potential without having to secure financing. ESSENCE: Has starting your own business been everything you expected? What does having a Black-owned business mean to you? Katonya Breaux: Having my own business has been more than I expected because there’s an emotional connection to it—a connection that isn’t always there when working for someone else. Having a Black- owned business has me in a position to inspire others to do the same and employ members from my community to show that success is possible for us all. Katonya Breaux: The beauty industry is growing and becoming more awake; however, we’re lacking the need to put customer’s health and well-being before profit margins and convenience. It’s disappointing that so many chemicals are still used in many of our cosmetics. It is a greater challenge and expense to use ingredients that are better for us, but it is more important than ever to focus on better ingredients. Katonya Breaux: Yes, we just added new tinted lip balms in five colors with an SPF 18 and a new moisturizing hand cream with an SPF 15 all with natural and clean ingredients. We are now working on face and eye creams, too. Unsun will continue to grow and offer products that women can feel good about putting on their skin. ESSENCE: What separates Unsun from competitors? Katonya Breaux: I created our hero product, Unsun Mineral Tinted Sunscreen to provide protection without dealing with the typical white or gray residue. I know that there are products out there that promise the same, but many of those are laden with nasty chemicals. We wanted our customers to have a more viable choice of using a sunscreen that did not leave them looking ghostly but which also did not force them to apply man-made chemicals on their skin. Katonya Breaux: Unsun has not partnered with any celebrities at this time. We have a few in mind that we think represent our level of awareness and hope to work with them in the future. Katonya Breaux: I have had two businesses in my life: a construction company for over 20 years and now Unsun Cosmetics. I always encourage others to first get their education. Having a degree tells people that you are grounded and took yourself seriously. This may not apply to all people, but I see commitment in a person who took the time to empower themselves [to receive] an education. I would also suggest working in the field of your interest. It’s easy to create a perfect new business in your head but being in business is hard. Hone your skill; intern, work, network and familiarize yourself with the field that you choose. And, while not entirely necessary, have a passion for what you do. Having a passion for what you do is like having a secret arsenal. We go so much further and fight so much harder if we hold something dear. ESSENCE: YouTube beauty gurus are on the rise. What does this mean for the future of your business? Katonya Breaux: YouTube beauty gurus are a new American staple in our shopping experiences. One can most certainly benefit from their willingness to try out products for your consideration and convenience. This has become a great tool in our new short attention spanned world. Problems arise when consumers put all of their faith in someone that may not have the same concerns. If the guru has dry skin and tries out a product that looks beautiful on her skin, an oily skinned person will have to take that into consideration along with pore sizes, discoloration, etc. However, having said that, I too enjoy reviews on products that I am considering before I take the leap. ESSENCE: Besides sunscreen, what are your beauty must-haves? -Skinceuticals CE ferulic acid. Use a vitamin C serum as additional protection from the sun and environmental damage. -Fruit. Eat fruit for breakfast. I started this a couple of months ago and it’s amazing. Women can sometimes be a little clogged up (if you know what I mean) This will help clear your system on a daily basis, which also does wonders for the skin! 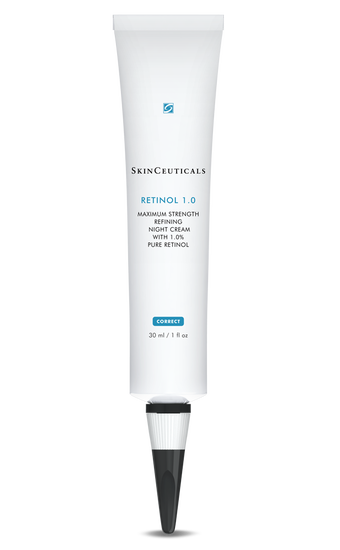 – Skinceuticals Retin A 1.0. Exfoliate by any means necessary. Whether you use retin like myself, peels or microdermabrasion (all methods I use at different times) it’s important to exfoliate regularly. -Sunscreen. There is no season for sunscreen. The sun is always with us and we are always susceptible to damage by the sun. – A Flat Iron. Refrain from using the blow dryer on your air as much as possible. Personally, I never use a blow dryer. My hair is natural but when I want it straight I will wet set it and sit under the dryer. After its dry I run through it with a warm flat iron. Too much blow-drying is awful for our already dry tresses.